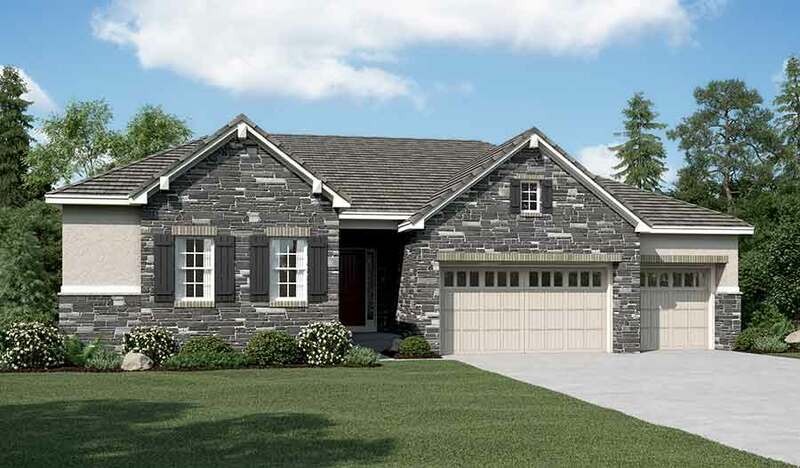 Off the entry of this new ranch-style model home are two welcoming bedrooms with a shared Jack-and-Jill bath, and a formal dining room with a butler's pantry. The spacious great room boasts a tile fireplace, tray ceiling and multi-slide glass doors that open to the covered patio. You'll also appreciate the gourmet kitchen with large center island and double ovens, the private study and a luxurious master suite with a walk-in closet and deluxe bath with separate tub and shower. The finished basement features an expansive rec room with a wet bar, a versatile flex room, a fourth bedroom and a full bath.